If you are going to be traveling to in the near future, try staying in a fully furnished corporate rental. All properties listed below include all furnishings, linens, towels, bedding, housewares, parking, capped utilities, expanded basic cable, wireless high speed internet, and domestic long distance all for one great price. Stay in a home away from home while traveling for business or leisure, relocating, insurance claims, etc. 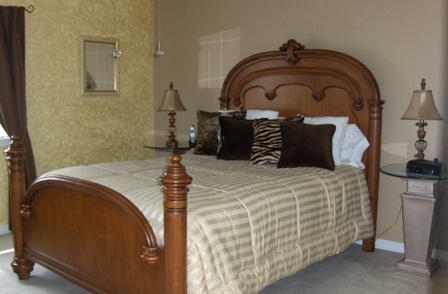 The possibilities are endless for fully furnished rentals and much more comfortable for long term stays than hotels! 1BD/1BA Downtown Denver High Rise 3rd Floor Condo. 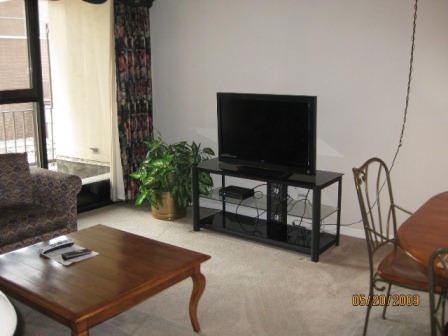 This north facing 802 square foot condo has a flat screen TV in the living room and a TV in the bedroom. The building features secured entry with a 24-hour concierge desk; a outdoor pool and sundeck; coin operated laundry facilities on the 3rd floor (right around the corner from this unit); a jacuzzi; sauna; billiards room; and fitness center. To view more photos, maps, and information, please click here. 2BD/1.5BA 3 Level Townhouse in Parker. This 1,000 square foot town home features: Newer Black Appliances; Master bedroom has a Queen size bed with a pillow-top mattress, a double closet, and a flat screen TV; Patio off Main Level with Table and Chairs; 27″ TV in Living Room; Laundry room in the basement; and a twin bed in the 2nd bedroom. The community has a playground. To view more photos, maps, and information, please click here. 2BD/2BA Historic Highlands Loft. The building features views of Downtown’s skyline and Denver’s Central Park; secure indoor parking in a heated garage with elevator access to all floors; retail shops on the ground floor; a Private fitness center; outdoor hot tub; private entry access with a visitor intercom system; and Shops, restaurants, and parks all within walking distance. This amazing property features: Comfortable queen beds in both bedrooms; Great flat screen TVs in both the living room and the master bedroom; Great dinning room area looking out over the Denver skyline; Hardwood floors in main living areas and carpet in bedrooms; Kitchen islands, countertops and vanity tops made with polished granite tile; Large kitchen pantries and stainless steel appliances; Minimum 9’ ceilings with exposed spiral ducts for heating, cooling & ventilation; Oversized decks and large balconies with sliding glass doors; Large walk-in closets in master bedroom; Washer/Dryer in unit; Large showers and deep soaking tubs in master bath as well as Free-standing vanities with elevated sinks; Central air conditioning & heat, over-sized insulation and double-paned acoustic glass windows. 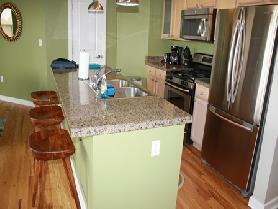 To view more photos, maps, and information about this great Highlands loft, please click here. To view all of the amazing fully furnished lofts, condos, town homes, and houses that AvenueWest Denver has to offer, please visit us at http://Denver.AvenueWest.com or give us a call directly at 303-825-0000.